I made one of these for my home. I showed it to a few friends and they ordered one as well for Christmas gifts. 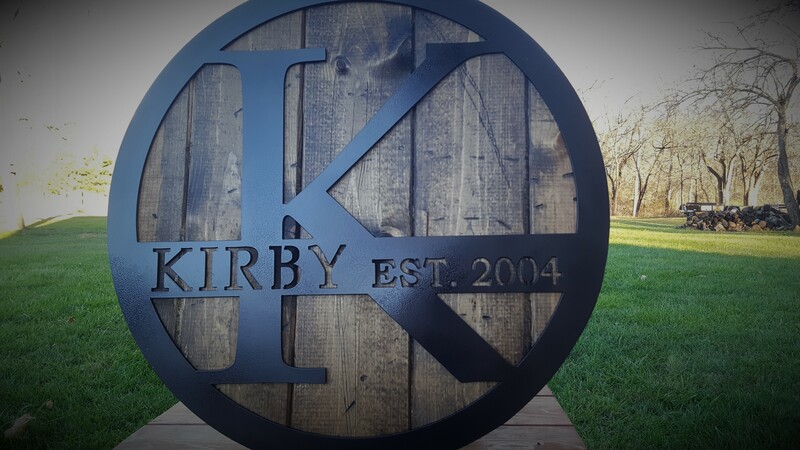 The metal monogram is cut from 1/8" plate and mounted on distressed wood. Kinda resembles a wine or whiskey barrel lid. I'll post some pics of the others once Christmas is over so I don't spoil anyone's surprise. I made a couple of outdoor ones that are mounted on cedar wood and have stainless steel hardware to help withstand the weather. REPRODUCTION OR MODIFICATION OF STEEL OAK DESIGNS ART IS STRICTLY PROTECTED BY COPYRIGHT LAW.